SHOW YOUR SUPPORT BY LIKING THIS POST… “Why life in captivity is the last hope of saving tigers” VIA CIRCUSES!!!! preciousjules1985	Animal Abuse & the Law, Animal Behavior, Animal Control, Animal Cruelty, Animal Emotions Behaviour & Instincts, Animal Health & Welfare, Animal Husbandry, Animal Neglect, Animal Trade, Animal Trainers, animals, Animals denied food & lack of care, Animals in entertainment, Appalling Farms & Heinous Abuse, Big Cats, Captive Wild Animals, Circus, Elephants, Endangered Species, England & Wales, Entertainment, Exotic Animals, Health and wellness, History Of Animal Abuse, Human Greed = Animal Cruelty, No Enforcement Of Animal Welfare, Petitions Helped Cause, Purposely Inflicted Harm, Trophy Hunters, Veterinary Care, Video, Wild Animals In Danger	Animal welfare, Barry Gardiner, Circus, Department for Environment Food and Rural Affairs, George Eustice, Great Britain, Jamie Foster, Labour, Neil Parish, Royal Society for the Prevention of Cruelty to Animals	Comments Off on SHOW YOUR SUPPORT BY LIKING THIS POST… “Why life in captivity is the last hope of saving tigers” VIA CIRCUSES!!!! 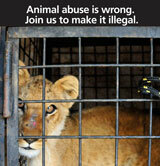 “PLEASE SHOW YOUR SUPPORT AGAINST WILD ANIMALS IN CIRCUSES BY LIKING THIS POST…Thanks! I recently went to visit a family who are being attacked. They are hard-working and do not live off state benefits despite being anything but wealthy. They are a part of a minority community that has been subject to venomous attacks for many years by people who are never called to account. In many ways the prejudices that they suffer are amongst the last socially acceptable, thoughtless bigotries it is possible to openly express. The family I went to visit was a circus family, from Peter Jolly’s circus, the first in Great Britain to be licensed by Defra to have and exhibit big cats. 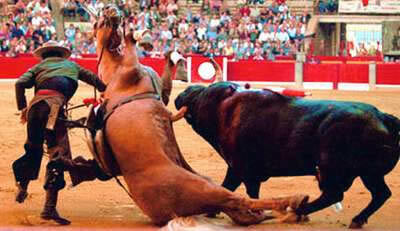 It is a traditional circus maintaining a 300-year-old tradition of showing performing animals to adoring crowds. The family live and work every minute of every day with their animals, which, as a result are in the condition one would expect of pedigree show cattle. 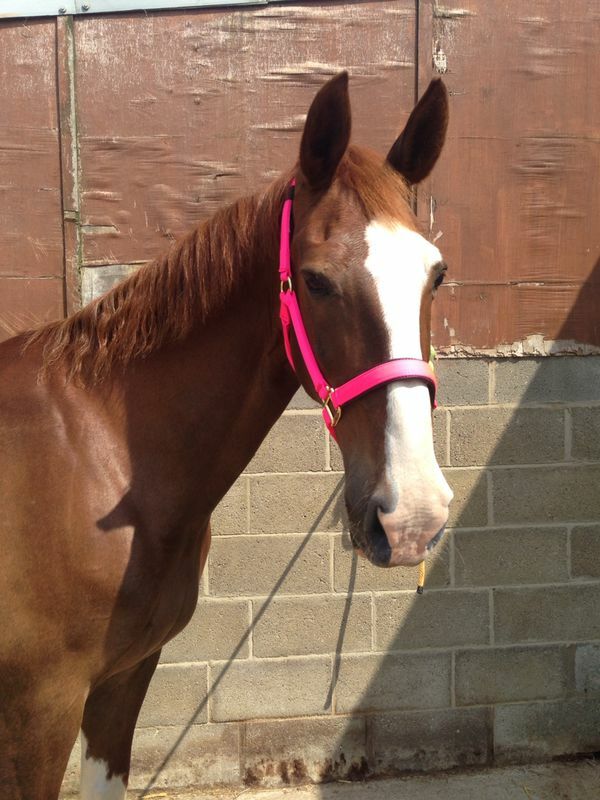 They are physically healthy and mentally stimulated from the constant contact with their trainers. What is odd is that the animal rights lobby has been so successful in persuading a nation of animal lovers that these animals should be in the wild, and that both captivity and being asked to perform are acts of cruelty. On September 3, Jim Fitzpatrick MP introduced a private member’s bill calling for all wild animals in circuses to be banned. This is quite an odd legal approach to an activity that is licensed by Defra. It is even more odd considering that the Environment, Food and Rural Affairs Committee has already reported on this issue. The committee included the current Farming Minister, George Eustice; Neil Parish, the East Devon MP currently working closely with the RSPCA on animal welfare matters, and Barry Gardiner, a Labour MP well known for his anti-hunting stance. The committee’s report recommended the Government should not consider a banning wild animals in circuses but should allow the current licensing system to regulate the activity. This was because the committee found that there were no welfare implications to wild animals being kept captive or performing in circuses. This may surprise many people who are used to hearing the opposite in public, but it doesn’t surprise me. I have seen the conditions that these animals are kept in and the condition of the animals for myself. If you are against animals in circuses, or have no particular view about them, I would invite you to consider a couple of points. Take tigers. In the past century we have lost 97 per cent of wild tigers on this planet. There are essentially two reasons for this. Tigers are an apex predator that require a large area of land to survive in the wild. Man has encroached on that land and man is not good at sharing. Worse still, for the tigers, man has decided that their component parts are far more valuable after their death than when they are alive. 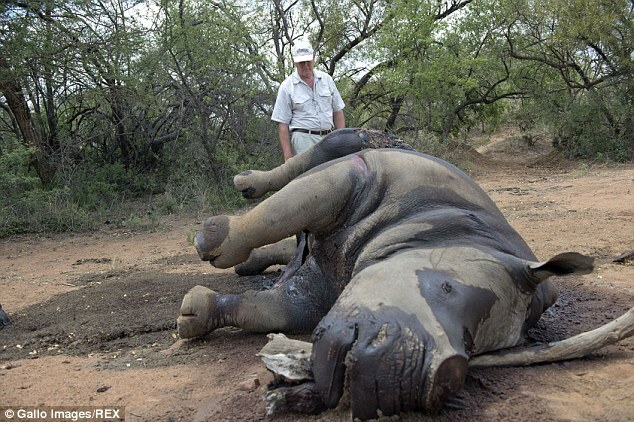 The reality is that there is not so much wild for them to be in anymore and many people willing to go into the wild to shoot them and sell them on the black market. So we are left with the unavoidable conclusion that some tigers must be kept in captivity, despite how much this offends some people’s aesthetic sensibilities. Of course we can and should keep tigers in zoos and safari parks. These are both places where the animals are safe and can be studied from a distance. They also, however, have an inherent disadvantage. Tigers in zoos and safari parks do not enjoy the level of mental stimulation they would in the wild, largely because it would be frowned upon to allow them to hunt the other residents. It is for this reason that safari parks came into being in the first place. People wanted to display animals in settings that more closely resembled the wild than traditional zoos, and where the animals had more to keep them occupied. Ironically they turned to circus people, who assisted in designing the first safari parks in order to minimise the boredom that can be experienced by animals in captivity. Tigers in a modern circus, on the other hand, have a great deal of mental stimulation, which comes in the form of the training it takes in order for them to perform. The suggestion that cruelty is employed in this training simply isn’t true. If you were to train a tiger by beating it you would end up with an animal whose only act would be cowering in fear. As anyone who has ever tried to train a dog knows, you may be able to stop an animal from doing something by scaring it but you can’t encourage an animal to do something in the same way. More than this, however, the circus brings the tiger into contact with humans in an entirely positive way. The tiger makes money while it is alive, rather than only having a value in death. It was a quaint hippy concept from the 1960s that money doesn’t matter and everyone should be free, but real life doesn’t work that way. Conserving tigers is a costly business. 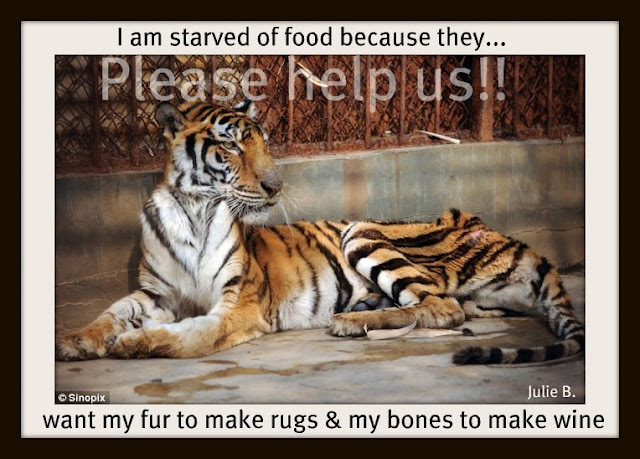 In circuses tigers can contribute to this effort. The truth is we have been working alongside animals for millennia. There is nothing wrong with that as long as welfare standards are as good as they can and should be. We need to continue to set an example through the way we maintain those standards, not restrict the areas that good practice can occur in. Clearly there have been examples of animals being mistreated in the past. This occurs in every walk of life from circuses to our own homes. The law is entirely adequate to deal with abuse. 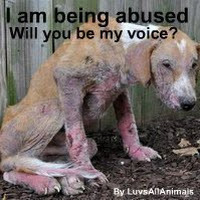 If someone abuses an animal they should be prosecuted. But banning animals being kept in circuses because some people have mistreated animals is like banning cars because some people crash. In the US, the Ringling Brothers circus is a multi-billion dollar industry. It grew out of traditional UK circuses and still employs many British performers. 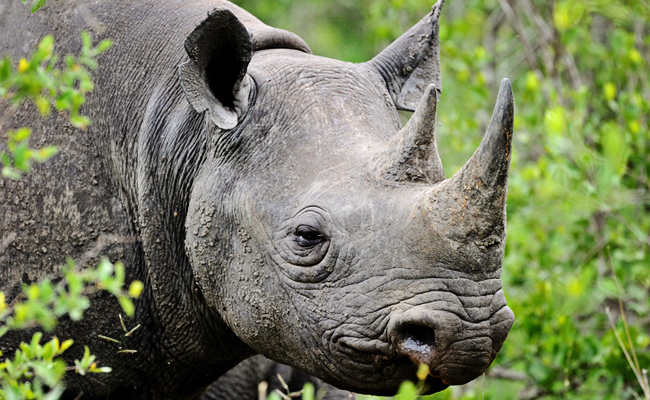 It is an industry that ploughs a fortune into animal conservation. The company owns huge facilities where retired circus animals are kept in fantastic conditions. It is an example of the contribution that private industry can make to the conservation effort and it is an example we should follow, not shy away from. A tiger that lives free in the wild in the way they advocate has an average life span of 15 years. In captivity the average is 25 years, but many go on to 30 years or more. Next time you think about circuses ask yourself if you know the whole truth, or if you have really thought about it at all. The RSPCA is campaigning against the use of wild animals in circuses and is lobbying the Westminster and Welsh governments to ban their use in England and Wales. The organisation says: “We don’t believe animals should be subjected to the conditions of circus life. Regular transport, cramped and bare temporary housing, forced training and performance, loud noises and crowds of people are often unavoidable realities for the animals. Scientific research has shown that travelling circus life is likely to have a harmful effect on animal welfare. The videos are proof of cruelty. These creatures were beaten. Actual fact. Nothing to do with “animal rights lunatics.” It doesn’t matter who made the video. It DID happen. You surely don’t deny this cruelty happened, do you? No. I don’t think anything Animal Rights lunatics rely on to feed their insatiable appetite for self righteous human hatred has anything whatever to do with facts. Did they not lose the case because of their extreme stupidity with not using a credible witness, not anything to do with the cruelty shown on the video. That still is factual isn’t? We can’t deny elephants getting beaten across the face before they go out to perform tricks can we?. It is there in the video. And also the tigers getting whipped is still factual, don’t you think? Peta lost their case, HSUS lost their case, Aspca lost their case, the list of Vegan front organisations on the hook for legal fees is unending. Try googling Peta loses court case. It will keep you reading for a week. Vegan racketeering is expensive in thenStates apparently. @equaliser, I genuinely cannot find anything that says Peta had to pay feld. I would honestly be interested if you could send me a link, it would be interesting. The link you sent me named other groups, but not Peta. Are they as one? As I said I am genuinely interested. Is the abuse not there to see. The camera never lies now does it? 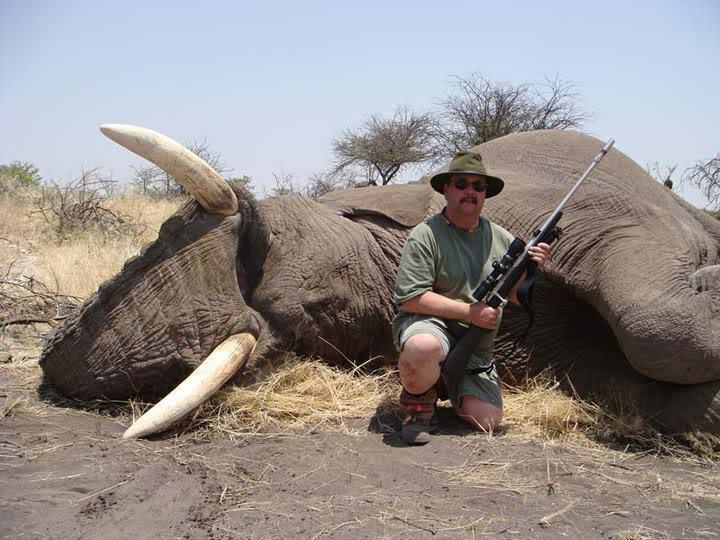 What do you think of these people who beat the elephants? It is irrelevant regarding the paid witness, ( although reckless and bloody idiotic) because the abuse of these animal took place. Surely you can’t deny that? What about the gentleman who wrote the article who said and I quote “The suggestion that cruelty is employed in this training simply isn’t true.” (re tigers) there is another link I posted proving they do get beat. You can’t argue with video evidence. So in summery two questions Did Elephants repeatedly get beaten just before they went out to “perform” ? and is the other video proof that tigers are also whipped and beaten so they will “perform.”? Oh yes no one in circuses ever beats the tigers. Are you sure? https://http://tinyurl.com/qe5fsmc That is just one of many you can google if you would like to look. These beautiful animal are not here to perform tricks for us humans. “So why does the writer not take the above into consideration? I completely agree with the RSPCA & Scientific research; which is why wild animals should be banned from circuses…PERIOD. I presume this writer knows about the lawsuits & what Ringling have paid in the past due to poor conditions etc. “SERIOUSLY, DOES THIS GUY EXPECT US TO BELIEVE TIGERS ENTERTAIN… BECAUSE THEY ENJOY IT?? IT STIMULATE THEIR MINDS ETC…..I don’t think so…do you??? 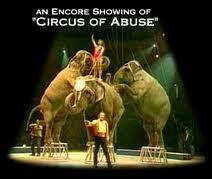 PETA has been after the USDA all this time to take action against Ringling for abusing the animals in its care. In recent meetings, we presented unequivocal evidence of animal abuse, including beatings, the death of a lion, lame elephants forced to perform despite chronic pain, and a baby elephant who died during a training routine. We had recently filed a new formal request for action against Ringling, and our attorneys had met with the USDA’s general counsel and urged her to begin enforcement proceedings. CHINA has destroyed more than six tonnes of illegal ivory, in a move welcomed as an important signal the country backs action to stop elephant poaching. The ivory, which is sought-after in China for making ornaments, was seized from the illegal trade and has been crushed into powder by the Chinese government. Conservationists say China is the world’s largest consumer of trafficked ivory, most of which comes from elephants killed in Africa, and the move sends a signal of the government’s commitment to tackling the problem. Destruction of the ivory, from more than 600 dead elephants, comes just weeks after eight Chinese citizens were convicted and sentenced to between three and 15 years imprisonment for smuggling some 3.2 tonnes of ivory. “The destruction of seized ivory makes an important public statement that, in conjunction with other government-led efforts to reduce demand, has the potential to have a significant impact on the illegal market for ivory,” said Tom Milliken, from Wildlife trade monitoring network Traffic. 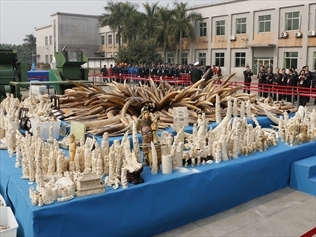 China has a legal ivory market based on stocks that pre-date a global ban on ivory trade imposed in 1989, and on stocks which were part of a legal “one-off” sale from four African countries in 2008, but the seized ivory cannot be be used for commercial purposes under international rules. “Ode to the Wolves” is an artistic tribute to all wolves, written to raise awareness about the endless atrocities they endure from humans all over the world, with a positive message to support the plight of the wolves and to end their suffering. The music and lyrics of “Ode to the Wolves” were written by Louise du Toit and the paintings in the video were done by fierce wolf protector, author and artist, Vincent Arthur Kennard, with the purpose of accompanying the song. Bringing Wolves Back! 43 Petitions. Please TAKE ACTION! My apologies if any have ended before I get this posted! 3.Gray Wolves Need Your Help Today TAKE ACTION!!!! 35.Enable law enforcement to fully implement the existing laws to protect hunting dogs. 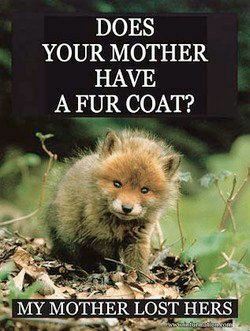 39.Ban The Sale of Animal Skins in The United States! 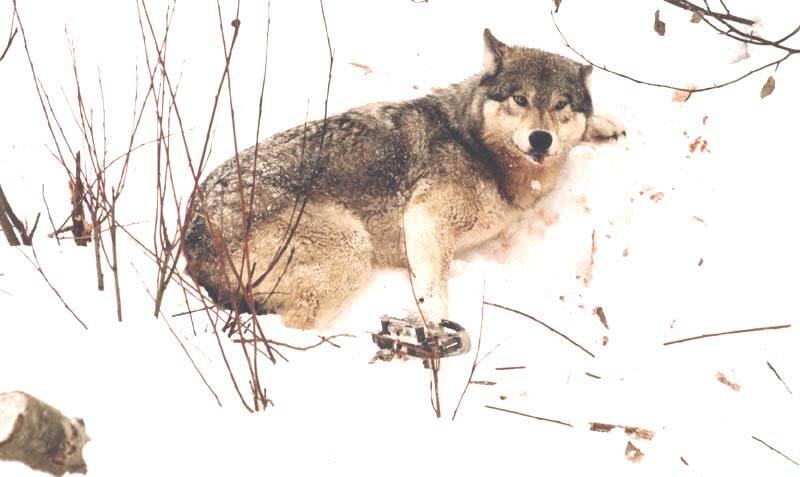 40.Ban trapping in America, as all other civilized countries have already done; based on cruelty and torture. MITCHELL, S.D. — Two area men are among three hunters charged with illegally using dogs to tree and kill a mountain lion Feb. 1 in Pennington County. The female lion had two kittens, one of which later died. The other is now in a zoo. The lion was shot about three miles south of Hill City, S.D., Conservation Officer Blair Waite said. Acting on a tip from an eyewitness, Waite ticketed James Jucht, 71, of Sioux Falls, S.D., on a charge of shooting the treed lion, and David Terveen, 63, of Emery, S.D., on a charge of aiding and abetting in the shooting. Pennington County Deputy State’s Attorney Josh Hendrickson said Jucht and Terveen face the same charge, namely “violating the conditions of a big game license.” The big game violations are Class 1 misdemeanors, which can bring up to one year in jail and a $2,000 fine. Both men face a hearing April 19 in Rapid City, S.D., before Seventh Circuit Magistrate Judge Heidi Linngren. Wade Musick, 41, of Mitchell, was ticketed on a charge of illegally using dogs to hunt lions, a Class 2 misdemeanor that could bring up to 30 days in jail and a $500 fine if he is convicted. Musick is scheduled for an April 10 hearing in Rapid City to discuss the charges. All men were legally licensed hunters. The use of dogs to hunt mountain lions was allowed this year on an experimental basis, but only within Custer State Park. The lion at issue was shot outside the park boundaries and before the in-park dog hunting season opened, Waite said. Waite said Musick was not present when the cat was shot, so he was not charged with aiding and abetting in the alleged crime, but he said Musick admitted his dogs treed the lion. Waite acknowledged that dogs cannot differentiate between bobcats and mountain lions. “But apparently neither can some people,” he added. One kitten was found immediately after the lion was killed, and the kitten was taken to a zoo. Waite said the other was trapped about 10 days later but was in such poor condition that it had to be euthanized. The bodies of the female lion and its kitten are being held as evidence. Mike Kintigh, South Dakota Game, Fish and Parks regional supervisor, said 61 mountain lions were taken during the annual harvest that ran from Dec. 26 to March 31. The number was short of the total 100-lion or 70-female limit set for the season. Only 35 female lions were taken. The female lion in question is not part of those harvest numbers at this time, but the lion and kitten will be added to his department’s lion mortality list, which tracks all lion deaths, Kintigh said.